Tearing ourselves away from our screens can work wonders for our well being, it’s just all about finding the right setting. Working in an environment in which you’re constantly connected to a computer, sending and receiving an onslaught of emails, and precariously scouring the internet for nuggets of information can sometimes cause our brains to go into hyper-drive. You may not realize it, but much like a computer we sometimes need a bit of time away from the screens to delete our own temporary files, empty our recycling bins, and free up a bit of processing space in our own minds. Muir was a strident advocate of engaging with nature and knew very well how dangerous the pressures of materialism could be on a person, and this was before the internet! Previously I have really enjoyed camping, and as I still had my trusty old mountain tent, sleeping bag and small folding tables (which come in very useful when camping), I felt I had no reason not to enjoy it again. Without a moment’s hesitation, I packed up the essentials and headed out the door. I found a peaceful spot with a beautiful view of the city and the sea. I made the conscious decision to pack absolutely nothing that required a battery, my Apple watch straps, apart from my phone (which I had set to airplane mode for the duration of my trip) and a small torch so I could do some reading. It was both cleansing and relaxing immediately; I no longer felt the external pressures of the physical, or digital, world around me. It made me realize just how long it had been since I had separated myself from the web of technology that had surrounded my life, and whilst I wasn’t quite ready to give it all up and become a drifter, I instantly knew the importance of taking some time to hear my own thoughts without any digital interference. Camping also helped me be thankful for everything I did have; the truth is I love technology, and I love being connected to the internet and having an information overload every day, but too much can have a detrimental effect. Upon my return, I did a bit of research and found out about Camp Grounded, a project described as a digital detox camp in which adults are encouraged to leave their phones behind and engage in activities such as hiking, crafts, cooking, swimming, and face-painting. The idea was born of the belief that too much technology ultimately reduces our ability to focus and develop on an interpersonal level. I felt somewhat inspired by this idea; it had become apparent that with the advent of modern mobile technologies and constant connectivity, we’d lost something more personal about ourselves. In the effort to connect us through social media, we’d ended up drifting even further from each other. Camping helped me appreciate the balance required between online and offline time. The next generation seems unaware of this, and as such is rather obsessed with the ways in which others whom they have no relation to living their lives, breeding a mindset obsessed with status and wealth, lamenting the life they are not living. An obsession with technology is fine, and I’ll always be amazed by the growing innovations in consumer electronics. 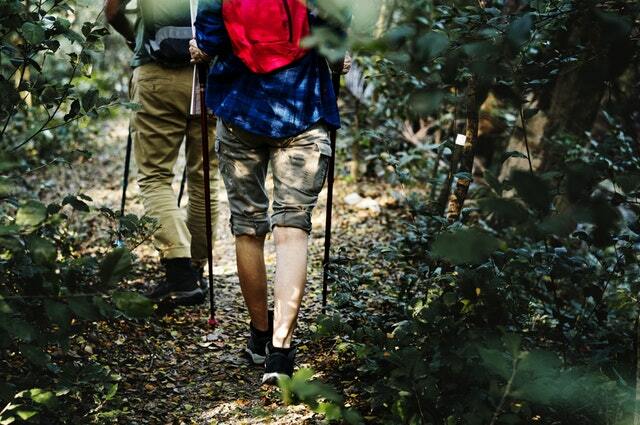 Yet if we took the time to go camp, hike, or disconnect in some form, now that spring is on its way, I am sure you will be pleasantly surprised at how invigorated you will feel when disconnected. Attended high school at Odessa Permian, where football is king, moved to Austin at 18, took a break from school and spent 4 years in San Diego before returning to Austin to finish my degree. Hook 'Em Horns!